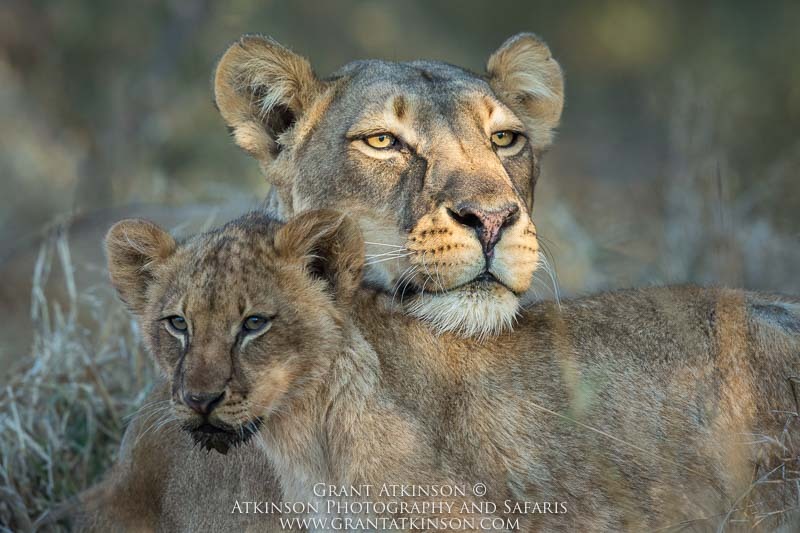 In August 2018 Grant and Helena Atkinson will lead a private group of photographers into South Africa’s Sabi Sand Game Reserve and Botswana’s Tuli Game Reserve. This safari and workshop combines some great wildlife areas, with extensive photographic and digital workflow instruction, together with comfortable accommodation. Predators occur at high densities throughout the Sabi Sands. Malamala, our camp, is perfectly situated within the Sabi Sands reserve with game drive tracks on both sides of the Sand River, which is prime leopard habitat. For the second part of this safari, we focus on the Tuli Game Reserve, located in the east of Botswana. We will base ourselves out of Mashatu Main Camp. 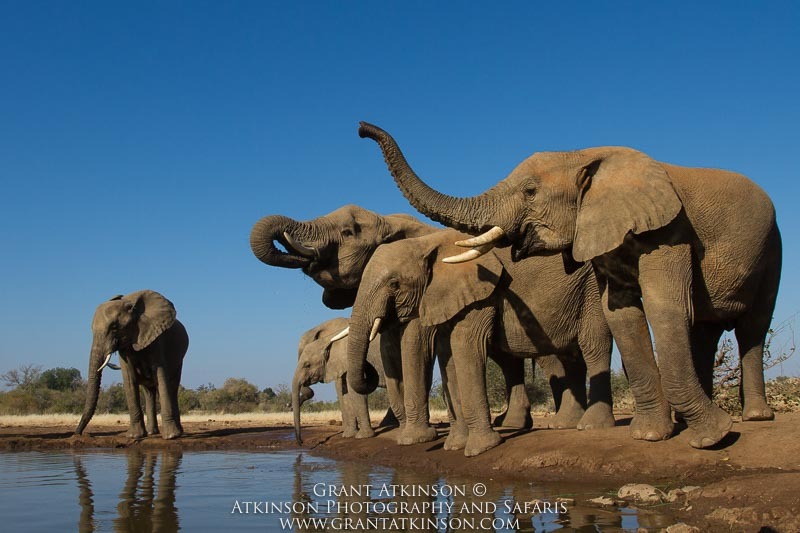 Game viewing around Mashatu is excellent with a high density of elephants being just one of the highlights. The terrain, which is a mixture of dry riverbeds, rocky outcrops and plains, provide superb habitat for leopards. Other predators present here include lion, cheetah and spotted hyena. 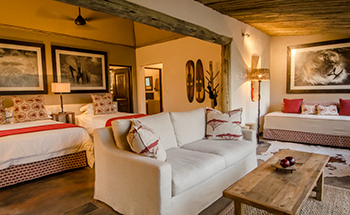 Our stay at Mashatu also incorporates time in their ground-level, special photographic hides. • We welcome photographers of ALL levels. • Prime lion, leopard and elephant viewing and all of Africa’s Big Five. • Game drives in open-sided 4×4 vehicles at MalaMala and Mashatu. • Safari is limited to 6 participants. • Grant and Helena Atkinson will lead the group throughout. 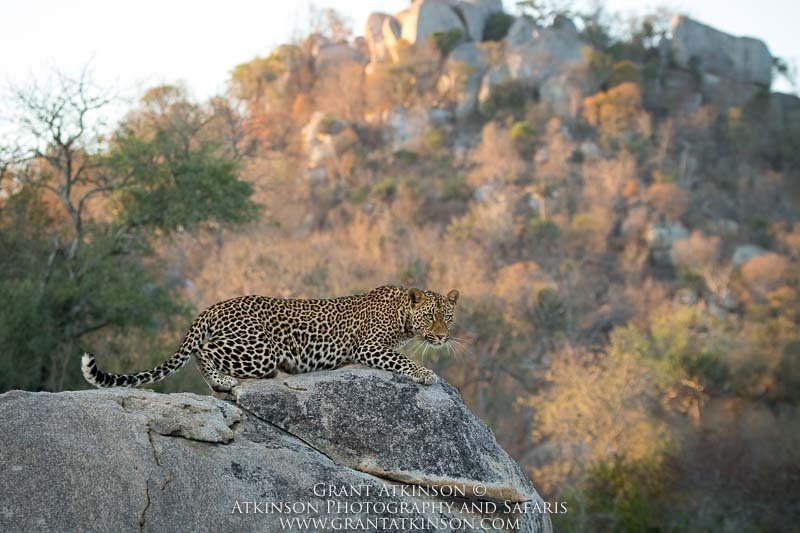 • This safari offers superb game viewing and photographic opportunities in the Sabi Sand Reserve (world’s best leopard viewing) and Mashatu (great elephants and cats). 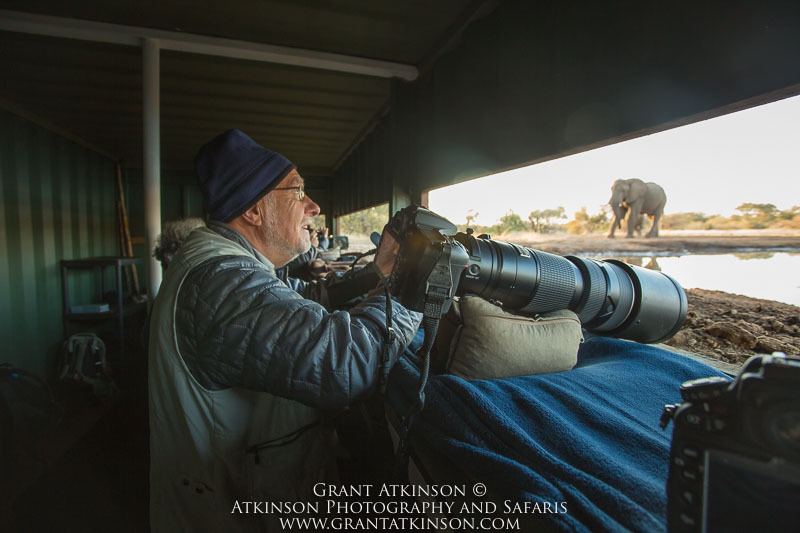 • This safari is for enthusiasts who want to spend a maximum amount of their time out in the wildlife areas – we work hard to get great photos! • This itinerary focuses on up-close and real wildlife experiences from the surroundings of comfortable accommodations. 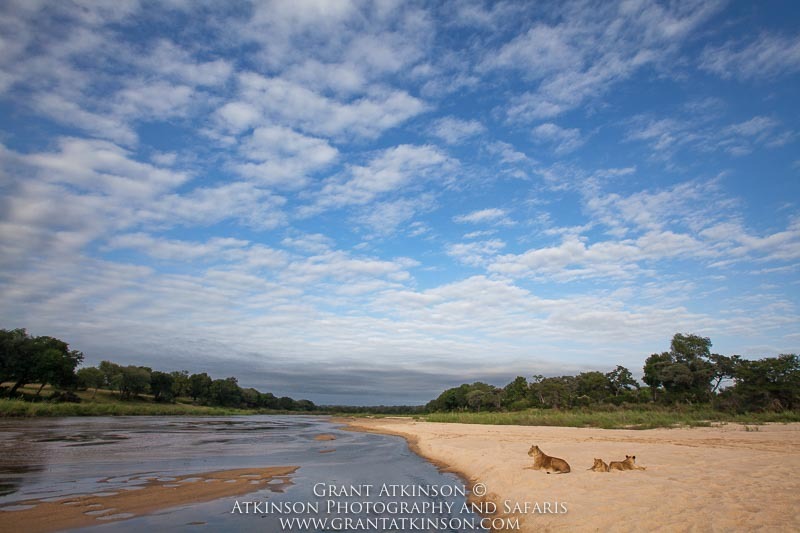 • The safari will be conducive to learning and will include instruction that will suit everyone’s photographic needs. • We are BIG on photographing in the field. We spend most of our time and effort on safari activity and making images. However we do meet daily to review images and discuss techniques. This includes camera techniques as well as processing techniques, however this is not a ‘classroom-intensive’ trip. Our ‘classroom’ sessions are entirely optional, though the review sessions are valuable. During non-safari times we will be available to share our own workflow procedures, and to assist photographers with all aspects of image processing. We work with Adobe Lightroom CC and Adobe Photoshop CC. • Non-photographer or videographer spouses/traveling companions will enjoy these trips too and all the safari activities are led by well-qualified camp guides, and the excursions into these pristine areas will be enjoyed regardless of whether one has a camera or not. 2. We are BIG on photographing in the field. We will spend most our time and effort on safari / photographic activities and making images. 3. Non-photographer or videographer spouses / travel companions will love these safaris. The wildlife experiences on this trip will appeal to anyone with a love for animals and nature. We have specialist guides leading all safari activities and optional activities (walking, balloon safaris, etc.) are also available subject to camp restrictions. Stay close to the airport at the D’Oreale Grande at Emperor’s Palace. On your arrival at Johannesburg’s OR Tambo International airport and after clearing customs and collecting your luggage, you will be met by an Eyes On Africa representative, who will transfer you by road to the D’Oreale Grande. The next morning after breakfast (included), our group will transfer back to OR Tambo airport where we will catch our scheduled Federal Air flight to Malamala airstrip. From the airstrip it is just a short drive through the reserve to our camp for the next four days. MalaMala regularly provides some of the finest game viewing in Southern Africa. It has been the location for a large number of acclaimed international and local wildlife documentaries (including National Geographic). Aside from buffalo, elephant and rhino, we can expect to see lion and leopard. Other large carnivores like spotted hyena, cheetah and African wild dogs are also sometimes encountered here. The game drives will take us through a variety of habitats, with the Sand River and its tributaries being focal points of the wild environment. We will spend 4 nights at MalaMala Main Camp, which has 18 rooms. Here we will have our own guides and vehicles for the duration of our stay. We will have 3 guests per vehicle. Some of the reasons for the phenomenal wildlife sightings at MalaMala are that there is a very low number of people actually living within the reserve and only guests staying at one of the MalaMala camps can enjoy this land. Wildlife is free to roam between the Greater Kruger Park and private reserves like the Sabi Sand that share a boundary with the park. Sound environmental management policies have also long been practiced at Malamala. Photographic safaris are conducted in open 4-wheel drive vehicles, allowing for total freedom of movement and the ability to leave the road and track down some of the more unique sightings such as lion, leopard, rhino, elephant and buffalo. After our morning game drive at MalaMala we depart by air from MalaMala to Mashatu (we will clear customs to move from South Africa to Botswana). We will spend the next three nights at Mashatu Main Camp. The main camp has 14 rooms. Here we will have our own guides and vehicles for the duration of our stay. We will have 3 guests per vehicle. Mashatu Game Reserve is a place rich in natural and cultural history, and offers some of the most exciting game viewing in Africa. It is a place of exceptional beauty where one can explore the rugged, unspoiled African landscapes in open 4-wheel drive vehicles by the expert camp guides and experienced trackers. Mashatu is home to large herds of elephant, giraffe, eland and wildebeest. There are leopard, prides of lion, packs of spotted hyena and sometimes cheetah. Along the river courses, huge Mashatu trees dominate the ribbon of forest and provide shade and shelter for wildlife. 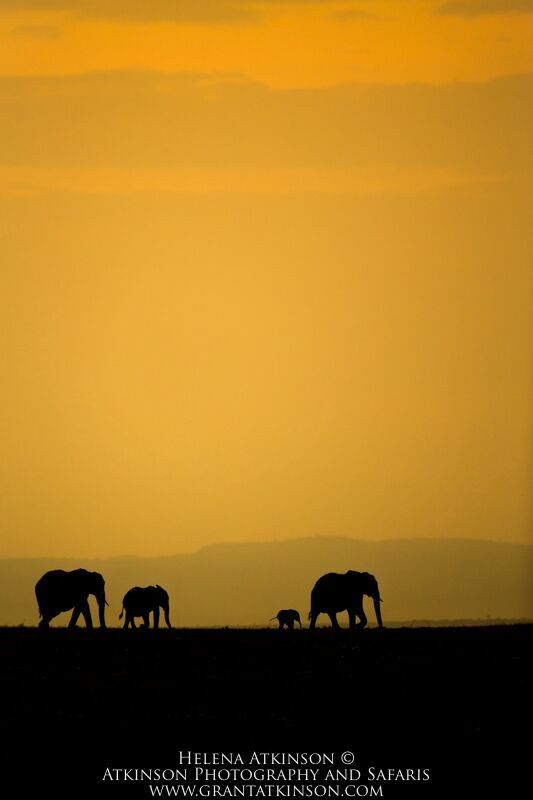 Mashatu provides a refuge for the largest single population of elephant on privately-owned land. Known as the relic herds of Shashe, these elephants are the last living testament to the great herds that once populated the meandering Limpopo valley. Today, the population on Mashatu Game Reserve alone, is estimated to number in excess of 700. 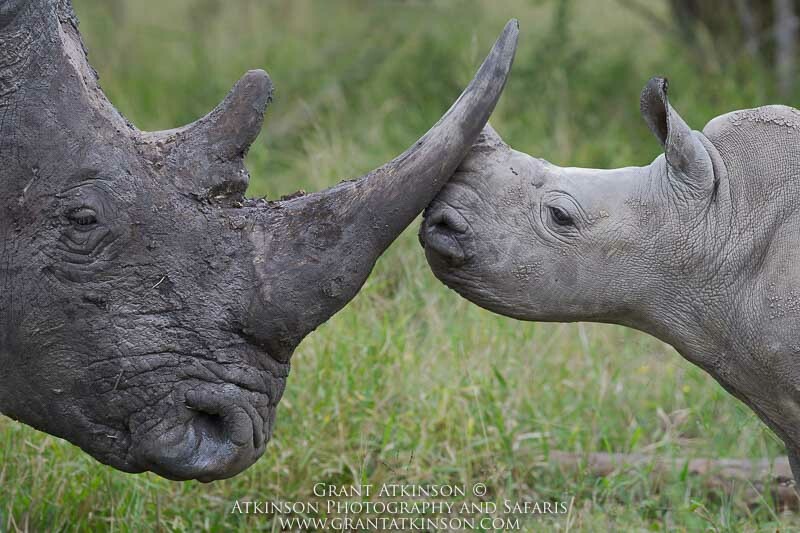 During our stay at Mashatu, we will also make two morning visits to their well-known photographic hides. These hides are designed with high-quality photography in mind, and as such, allow for safe, ground-level shooting opportunities. Mammal species which are most often encountered here are elephants, impala, baboons, warthog, eland and rarely spotted hyena. Many bird species also visit the hide, and they can sometimes be photographed at close proximity. Today after our final morning at Mashatu, we will be transferred to the airstrip for our flight to Johannesburg. International flights may be scheduled to depart that evening to home destinations. See note below regarding travel extensions. NOTE: Air travel and customized extensions to this safari, including other camps in Kenya and/or Tanzania, gorilla trekking in Rwanda, or other destinations may be arranged through Eyes on Africa as desired. Ask us for further information. The cost of this all-inclusive safari is $13,795 per person. This fee includes all in-country ground and air transportation as well as hotel accommodation (double occupancy) and all meals (except as noted above and in exclusions below). Single rooms are available in Johannesburg and possibly available at MalaMala and Mashatu, each at extra cost; please inquire if you are interested. • Accommodation on a shared basis (singles are available in Johannesburg and possibly available at MalaMala and Mashatu, each at extra cost). • During the safari we will share our workflow and processing techniques on the computer. To make the most of this opportunity you are advised to bring a laptop and card reader as well as enough external storage for these sessions as well as the editing software you are most comfortable with. Grant and Helena both use Adobe Lightroom and Photoshop CC. • 2x trip leaders/photography guides (Helena and Grant). • Private safari vehicles and all private/exclusive safari activities at MalaMala and Mashatu (including two morning hide activities at Mashatu). • Community levy at MalaMala. • Air transfers from Johannesburg to MalaMala, MalaMala to Mashatu and Mashatu to Johannesburg. • For our charter flights from Johannesburg to Mashatu and back to Johannesburg, we will have a 75-lb total luggage allowance per person. • Transfers to/from the airports and the hotel in Johannesburg. • All meals (drinks excluded) at MalaMala and Mashatu. • Daily laundry at MalaMala. • Breakfast in Johannesburg on Day 2. • Meet & Assist service on arrival in Johannesburg. • The current Tourism Levies and all relevant Value Added Tax or Government Sales Tax. • International airfare and/or other transportation between your home and Johannesburg. • All meals and drinks in Johannesburg (except as noted above). • Drinks at both safari camps. • Laundry and extras at Johannesburg hotel. 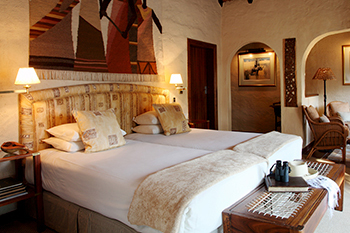 • Pre- and post- safari tours and meals or accommodation before or after the safari. • Air travel and customized extensions to this safari, including any additional nights on safari or in Johannesburg and/or add-on days in Botswana, Victoria Falls and other destinations may be arranged. Ask for further information. • Discretionary gratuities for driver guides are recommended at USD $25 to $30 per person per day. • Discretionary gratuities for camp and hotel staff are recommended at USD $15 to $25 per person per day. • Discretionary gratuities for guides, staff and trip leader are recommended to be paid in cash. • Visa and Mastercard are widely accepted in Johannesburg and the safari camps for any optional expenditures during the trip as needed. • Our group size is a maximum of 6 participants. • Although most safari lodges offer complimentary internet access, connections are unreliable and extremely slow. • Temperatures in the morning and evening can be cool, so bring a windbreaker or anorak with you. • Special dietary requirements can be accommodated if sent through beforehand. Our group size is a maximum of 6 participants and we expect that this trip will fill up. If this exciting safari sounds good and you're excited by the thought of joining on this trip, then now is the time to register. Remember, there will be limited space available for this trip and when the spots are spoken for, that's it. If you have any questions before registering, send an e-mail with any inquiries to adele@eyesonafrica.net or simply call us (800-457-9575) and ask to speak to Adele.